© Shaminder S Bhullar. All rights reserved. 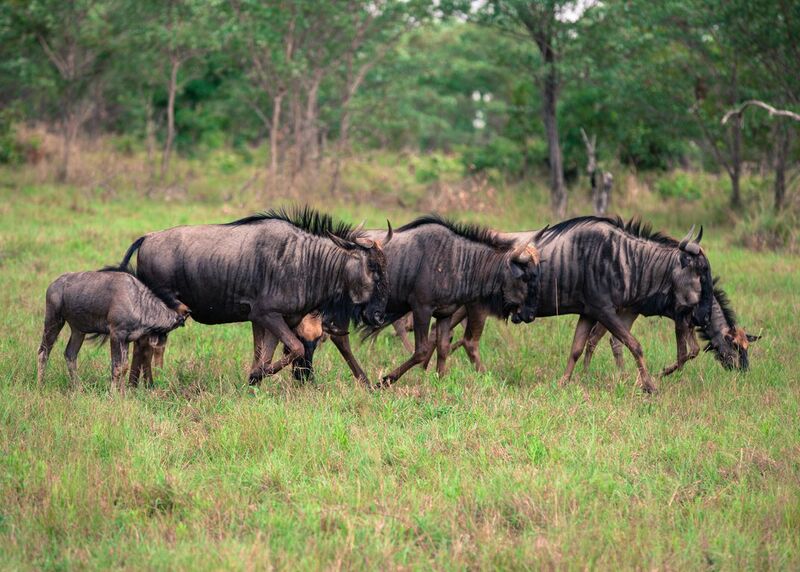 A safari wildebeest family making their way to greener pastures. We were blessed to be able to accompany a private park ranger on an off-road safari trip in Sabi Sands South Africa. We were in pursuit of a herd of water buffalo when we ran into this incredibly intimate herd of wildebeests. A new pride of lions had recently been seen a few miles from this heard which more than likely the explained their closeness and intimacy with each other during our encounter. Date Uploaded: July 7, 2015, 9:59 p.m.